In our world of over communication, excessive information and endless connectivity, we have become option saturated. Distilling the complex universe of color concepts into eight distinctively designed palettes, PANTONEVIEW home + interiors 2018 will help you stay well ahead. With Pantone’s desire to inspire and ensure you are on the right color path, Pantone’s key color stories for 2018 break free from traditional thinking: colors are revitalized, hues are mixed in novel combinations, and new color directions express a fresh approach that satisfies the consumers’ need for newness. 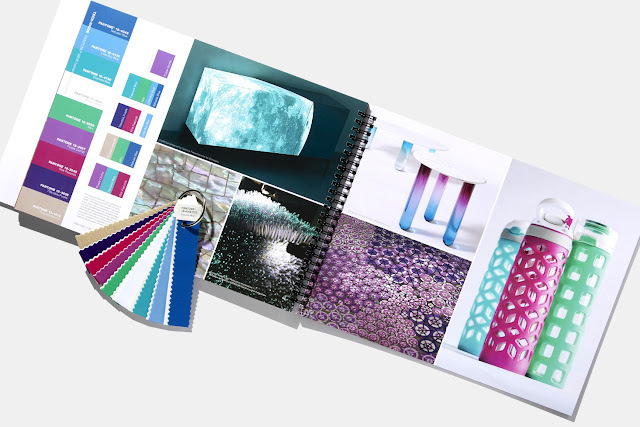 This book is paired with 75 forecasted Pantone cotton standards for soft home applications. 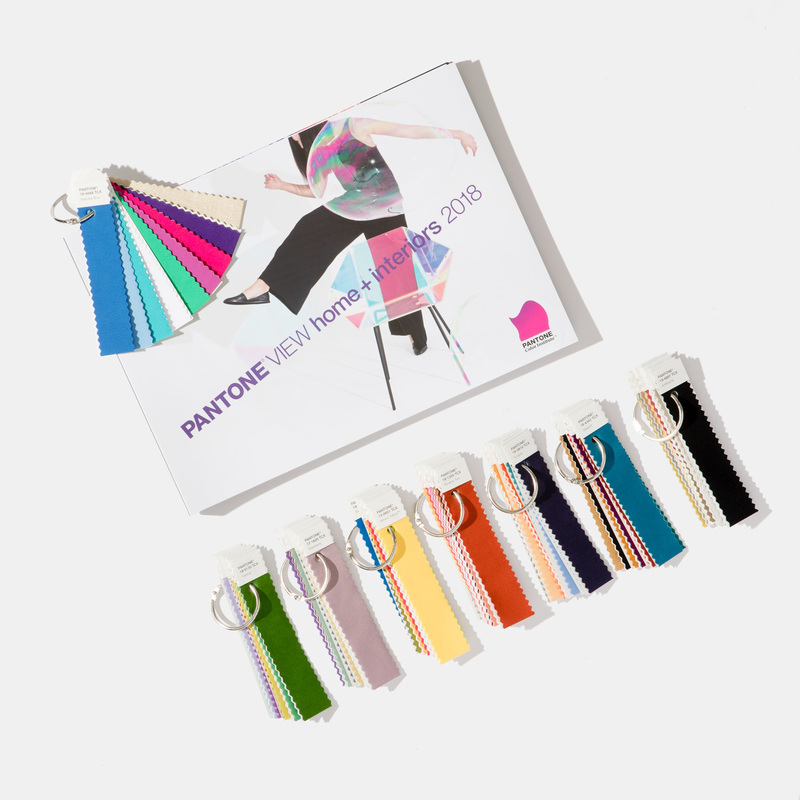 PANTONEVIEW home + interiors 2018 offers inspiration, key color direction and suggested color harmonies targeted towards interior design and home furnishings, including housewares, decorative accessories, bedding, bath, toys, ooring, indoor and outdoor furniture, paint, oral and food design. 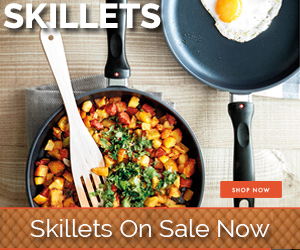 Each palette is introduced with a written overview of the trend and a supporting visual that sets the tone and highlights some of the key colors in the trend palette. Then follows four pages of photos which visually display the lifestyle concept or inspiration from which the trend story evolved and developed, as well as visuals of products and end-uses where the trend colors are applied. Color harmonies are displayed within these photos as are key palette descriptors. 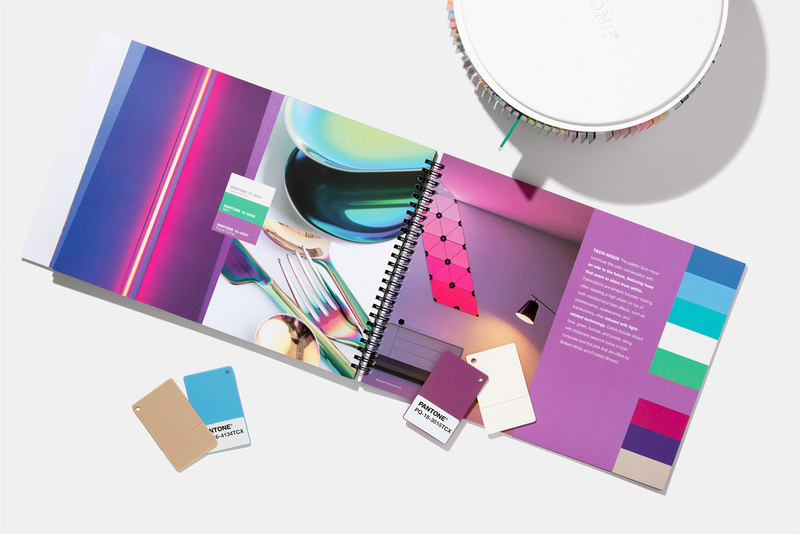 Located within the photo pages is a printed color card of the trend palette along with the individual palette rationale, key color directives and color harmonies. Color harmonies show which colors should be mixed together and in what proportion or measure. Highlighting additional insight and directions, a summary page concludes the forecast with a comprehensive color overview and a look at other factors in uencing the forecast. 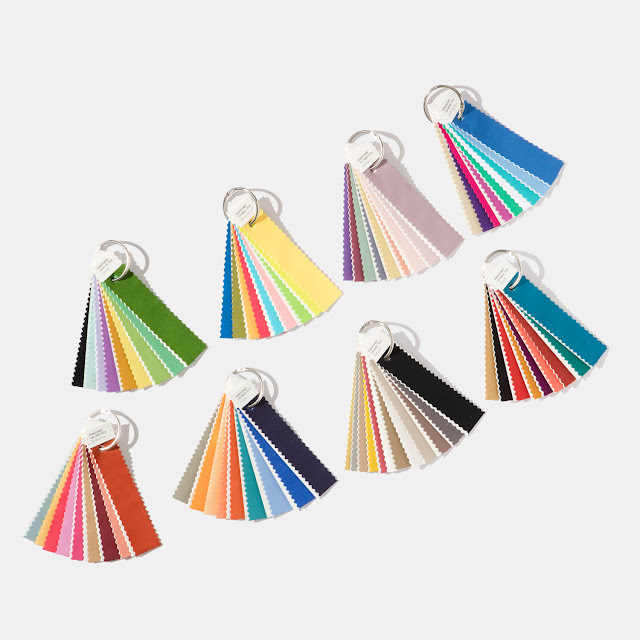 Printed color card displayed by color family provides a quick color overview. Written and visual overview highlighting key colors and concepts to take forward for product, interior design and visual merchandising. 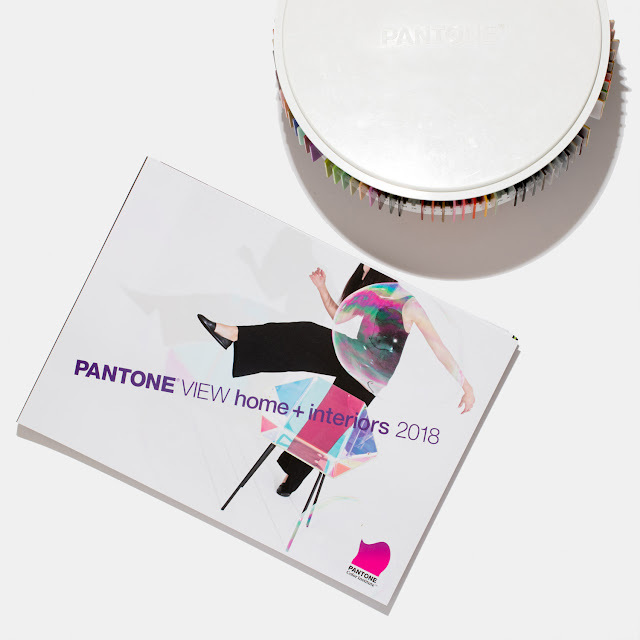 PANTONEVIEW home + interiors 2018/ Plastic Standards additionally includes large PANTONE Plastic Standards Chips of each of the 75 forecasted colors in a carousel organiser. This PANTONEVIEW home + Interiors format comes with 75 forecasted plastic standards in a spinning carousel arranged by palette.